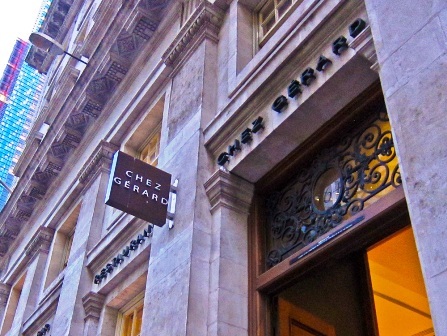 Chéz Gerard is a direct descendant of what we used to call Steak Houses. Although there's some fish on the menu, this is really a paradise for carnivores. It's a cold wintery April evening as we make our way through a deserted city to Chéz Gerard. Surprisingly for an establishment that has a French feel, they use American names for the cuts, and we choose a trimmed Boston trimmed rib to share. 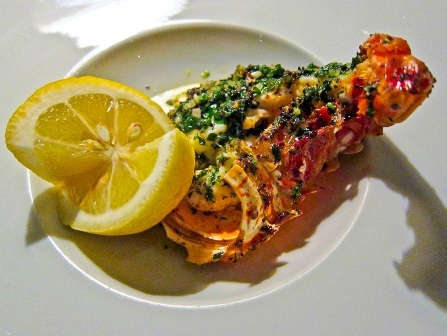 I should say that we each tackle half a grilled rock lobster in herb butter, whilst we are waiting. 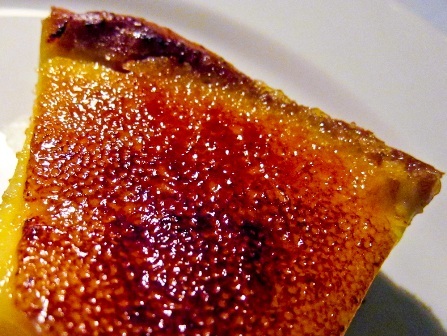 Small, but perfectly formed, as they say, served in the shell with lashings of garlic. We order a Caesar salad, which is put together at the table, although the dressing has already been prepared. It's a bit of a shame, and would be better if they'd mixed it in front of us and the Parmesan is shaved rather than grated. In spite of these things, it's definitely a nice touch to feel we are in complete control of our salad. 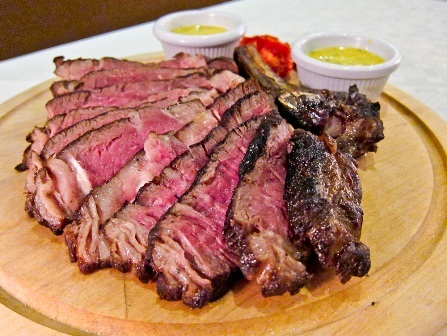 The rib arrives sliced, rare and succulent, with Béarnaise sauce on the side and pots of bottomless frites. (It's not that they have no behind, just that they keep on coming…) The meat is 28 day aged Casterbridge beef and it shows, being surprisingly tender and full of flavour, with a touch of smoke from the grill. Although it's medium rare, the fat melts in the mouth and this is one of the best pieces of beef I've had in ages. The Béarnaise is so good that I have to order another round of bottomless frites, just to mop up the extra. For dessert it's an excellent Lemon tart but I can't tackle the accompanying Lemon crème fraîche after all the Béarnaise. A double espresso completes what has been a near flawless meal, and the service has been excellent throughout. I should mention that in the evening they serve a special Steak Express menu with a sirloin, frites and salad for a bargain £19.95. It sounds like an offer you'd be stupid to refuse.